The Alpine Rescuers are on the front line when there is an emergency in the mountains. Here, the crew was just called out on a tricky rescue mission, and had very little information about what awaited them. A group of hikers skiing off piste were swept away by an avalanche at 1800 metres altitude. Once spotted, that had to be airlifted as it was impossible for the chopper to set down. 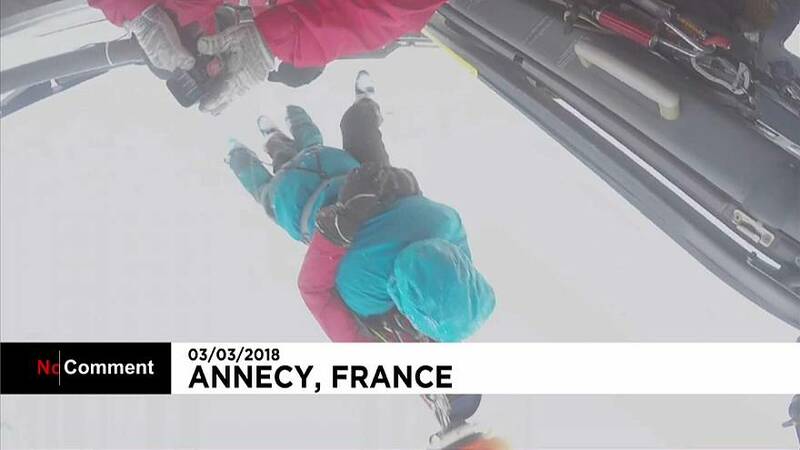 The skiers will not need to pay for the rescue as it the emergency service is funded by France. Every day, the pilots of the Annecy Civil Security can be called out to some 15 interventions.